After a winter that felt like spring at times, the Midwest experienced a cooler April that ended the run of consistently warm monthly temperature anomalies. While May 2016 certainly featured its fair share of cool spells, the Midwest also felt its first taste of summer. Did the cool start win out and leave the Midwest below normal once again? Let’s find out. 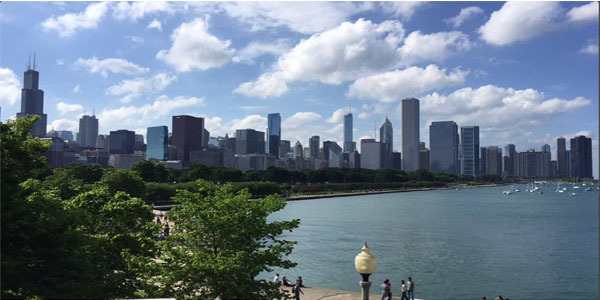 Chicagoland and the rest of northern Illinois started May downright chilly, with temperatures 5 to 10 degrees below normal in the 40s and 50s on the 1st. It was a different story further south and east as cities from Indy through Ohio sat on the other side of a frontal boundary with toasty highs in the 70s and 80s. Highly variable temperatures in close proximity can lead to severe weather outbreaks and the Midwest experienced its first of the month on May 1st into the 2nd. Southeast Illinois and central Indiana became the focal point where storms produced 1 to even 3” diameter hail and damaging winds with the Indiana state capital reporting a peak gust of 74 mph! Widespread cool temperatures in the 50s and 60s followed the severe weather through May 5th before another system rolled out from the Great Lakes on the 7th. Numerous wind damage reports in excess of 60 mph in southern Illinois and Indiana toppled trees and damaged buildings. 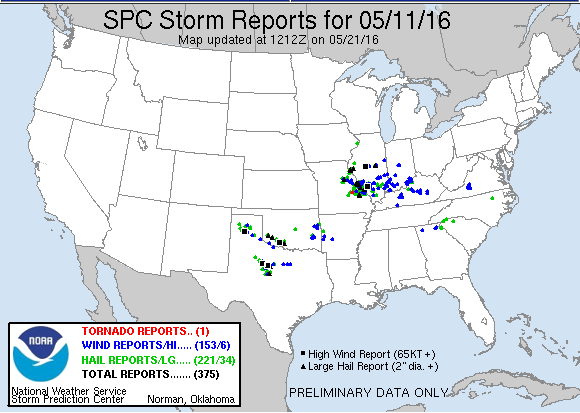 The strongest wind report was a hurricane force gust of 75 mph recorded in Boyd, IL. Unfortunately, unsettled weather quickly returned on May 10th and 11th with several wind damage and large hail reports across the Corn Belt States. Wind gusts again reached 60 - 70+ mph, with areas near Petersburg, IL topping out at 79 mph! Needless to say, more tree damage and power outages resulted, with the damage extending into central and southern Indiana. Severe weather took a break by the month’s midpoint as abnormally cool Canadian air overspread the Eastern US. May 14 - 15th was especially chilly with O’Hare failing to reach 50, as highs were only in the upper 40s. By the morning of the 15th, frost advisories were aptly issued and Rockford bottomed out at 31 degrees, tying the daily record low. Nearly all other Midwest cities followed suit, falling into the 30s as well. After enduring a weather pattern supporting persistently cool, cloudy and wet conditions for three weeks, the monthly temperature departures by May 21st were about 3 degrees below average with Columbus the coolest at 5 degrees under. However, the pattern finally flipped during the last week of May, supporting summer-like readings and dry conditions. Temperatures soared 5 to 10 degrees above normal into the 80s thanks to high pressure and persistent southwest winds ushering in much warmer air east of the Mississippi. Such an anomalously warm end ultimately “saved” May 2016 from ranking among the coolest of all – time. In fact, it compensated the cool start to the point where monthly averages rebounded to near normal for most spots. However, the warmth was not quite enough in Cincinnati and Columbus which still finished 1.5 - 2 degrees short of the monthly average. 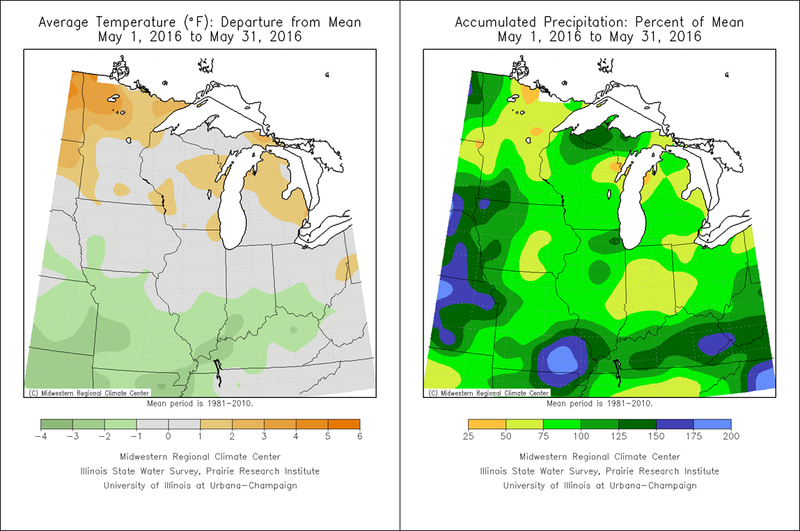 Looking at May's precipitation totals, it’s easy to think it was abnormally wet across the Midwest. While rainfall frequency was high, amounts were not very noteworthy from Indianapolis to Columbus and the dry finish to May actually led to a 50 to 75% rainfall deficit. Over in Illinois, however, precipitation totals were more variable. While the state of Illinois as a whole finished near normal, the Windy City and its surrounding suburbs wound up in a bulls-eye of a 25 to 50% surplus. With the Summer Solstice soon to arrive, the warmer weather is likely to continue. Just how warm are we expecting for the summer of 2016? Find out our thoughts from WeatherWorks Long Range Expert Brain Marmo’s summer outlook here.